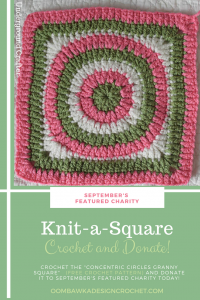 This month our Featured Charity, is Knots of Love and it is being introduced by Kirsten from Kirsten Holloway Designs. 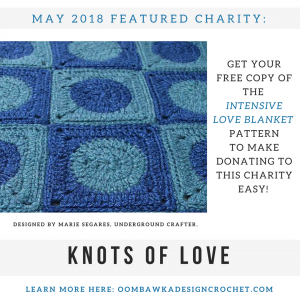 Please read on to learn more about Knots of Love and how we can help. Hello! 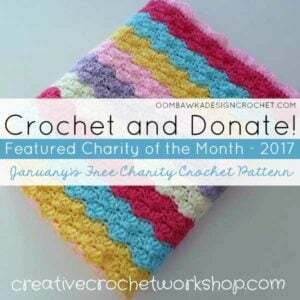 I’m Kirsten from Kirsten Holloway Designs, and crocheting for charity is something I’m passionate about. There is something incredibly rewarding, and humbling about making something for someone that will never be able to pay you back. 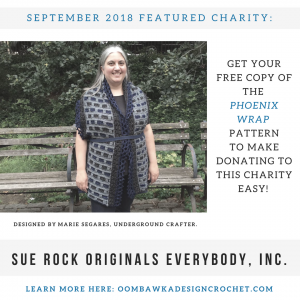 My goal with the patterns I make is to provide charity crafters with designs that anyone would appreciate, and feel good wearing. 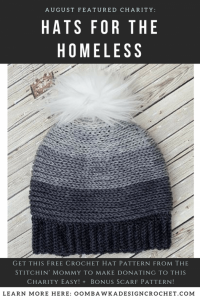 You know how you feel when you are dressed up, and put together with cute pants, a stylish jacket, and the perfect beanie, or slouchy hat to set off your outfit—that desire doesn’t go away for people battling homelessness, illness, or injury. 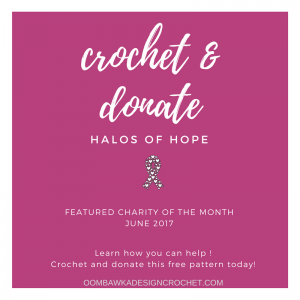 So, with that in mind, I’d like to present my chosen charity, Knots of Love, and give you a link to a pattern that I hope will make the recipient’s day a little warmer and brighter. 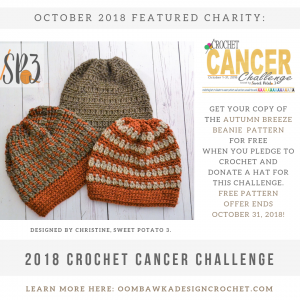 Knots of Love seeks to support individuals of all ages who are experiencing traumatic hair loss, either from chemotherapy, brain surgery, burns, or Alopecia. All caps are distributed free of charge to the hospitals or treatment centers they partner with, and those in turn are given out to the patients at no extra cost to the recipient. 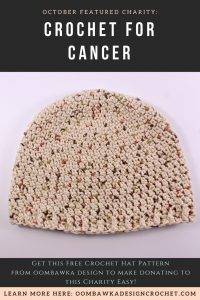 Knots of love is dedicated to providing the most comfortable caps possible, since chemotherapy can leave heads tender, and wearing a wig all day can be irritating to the scalp. 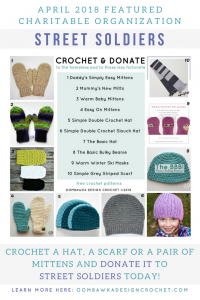 These hats are meant to be akin to kicking off your heels and slipping into a soft pair of slippers. 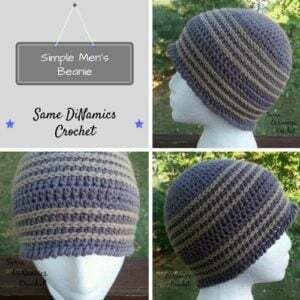 They also believe in improving an individual’s self-esteem by having a stylish hat to cover the hair loss. 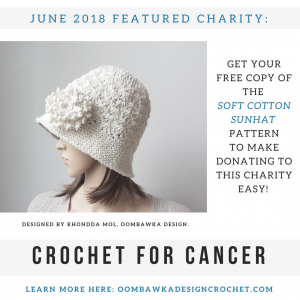 If you are interested in submitting a hat or blanket, you can click here for a list of guidelines and of specific yarns that they accept. 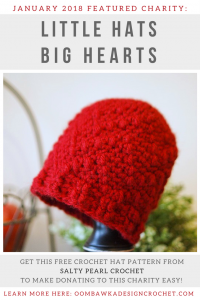 Standard head measurement can also be found on this page. 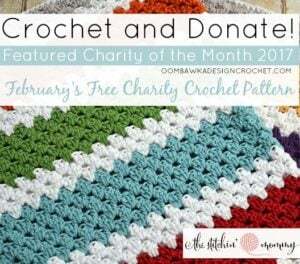 When your project is complete, mailing information/submission instructions can be found here. 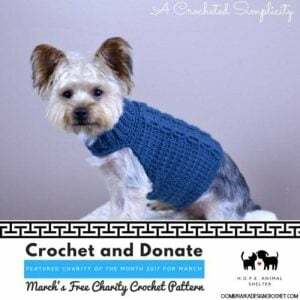 To provide financial assistance to Knots of Love, you can go to the website, and click on the “Donate” menu, which provides options for donating by credit card, or PayPal. 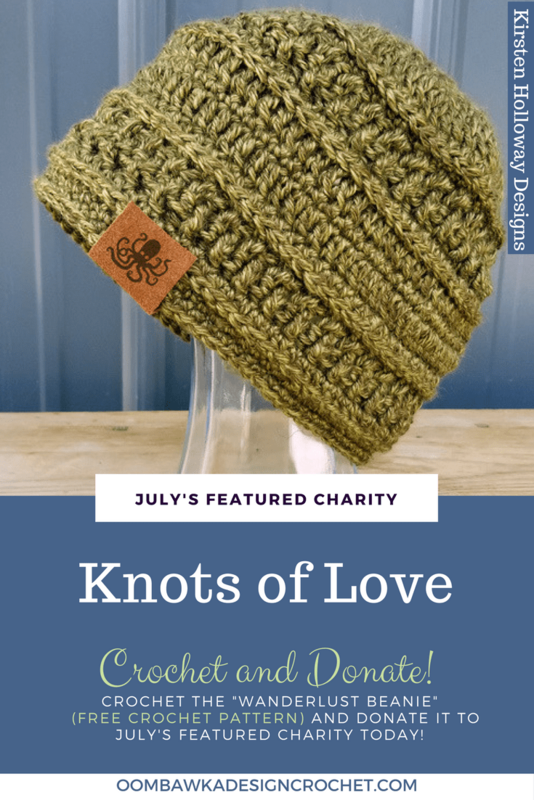 Since they began in June 2007, Knots of Love has donated over 330,000 hats, on average they donate 4000 hats and blankets each month. 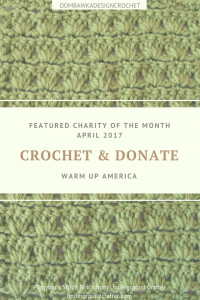 They are dedicated to providing handmade items made from the heart, and partner with over 550 treatment centers, and hospitals around the United States. 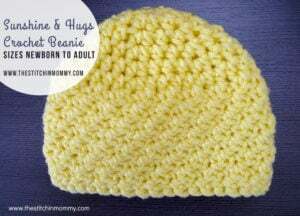 Because they are focused on the worthy aspect of sharing warmth and kindness with people in need, each of their hats and blankets are given away, 100% free of charge. 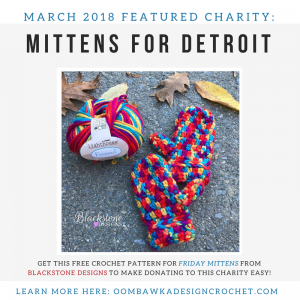 You can find out more about Knots of Love’s mission, and back-story on their website. 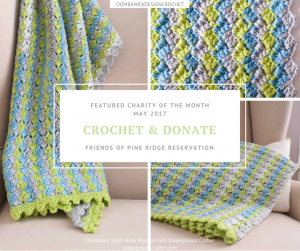 You’ll also want to be sure to check them out on Facebook, Instagram, and Twitter! 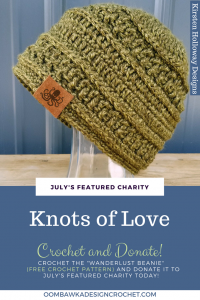 So now that you know a little more about Knots of Love, you’re all ready to get started on some hats to send them, right? Ok! Let’s get started then! 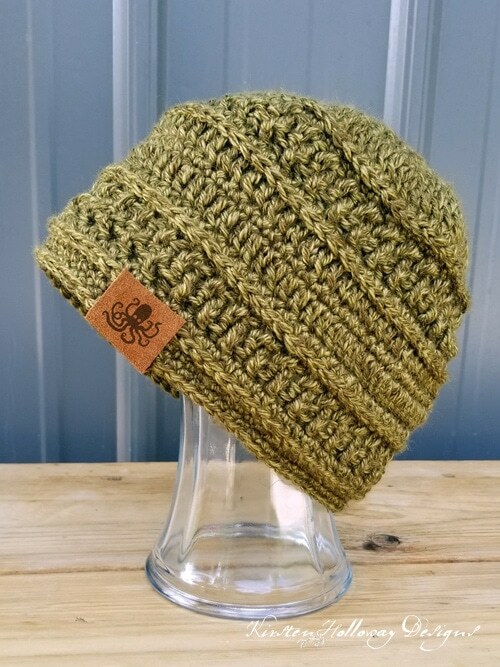 The Wanderlust beanie is squeezably soft, and pleasantly lightweight, while still being warm. 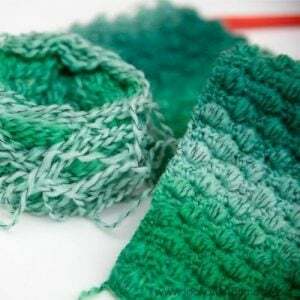 The stitch pattern is simple, and you’ll have it mastered in no time. Think of all the people you’re going to make happy with this! 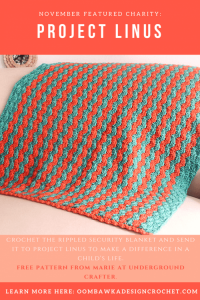 Favorite and Queue this Pattern on Ravelry right HERE! 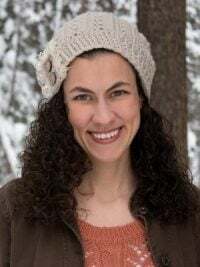 Kirsten is a work-at-home mom who never has enough hours in the day to craft, and is seriously considering crocheting all night. She knows that would be irresponsible though, especially since her body doesn’t tolerate the coffee needed to stay awake. 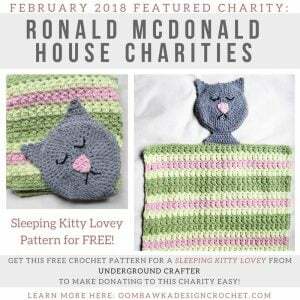 You can visit Kirsten Holloway Designs for more free crochet patterns designed to make the world a better, more beautiful place (plus they’re caffeine free, so you know they’re good for you).